As the Chinese saying goes "前人种树后人乘凉", the elderly in our society have put in their hard work to bear the comforts that we enjoy today. It all started with an idea to bring different generations together as a community after the youth development camp in January. It is always encouraging to witness our youth leaders putting in what they have learnt in theory into application initiated their first ever project - 'Gai-Gai' with the Elderly to serve and appreciate the pioneer generation. More than 25 like-minded youth volunteers and 50 elderlies from Brighthill Evergreen Home were gathered on a beautiful Sunday on 8 April. Quality time was spent together through a series of games and interactive sessions. It was truly heart-warming to witness a scene of youth volunteers serving the elderly with sincerity and heart-felt gratitude. 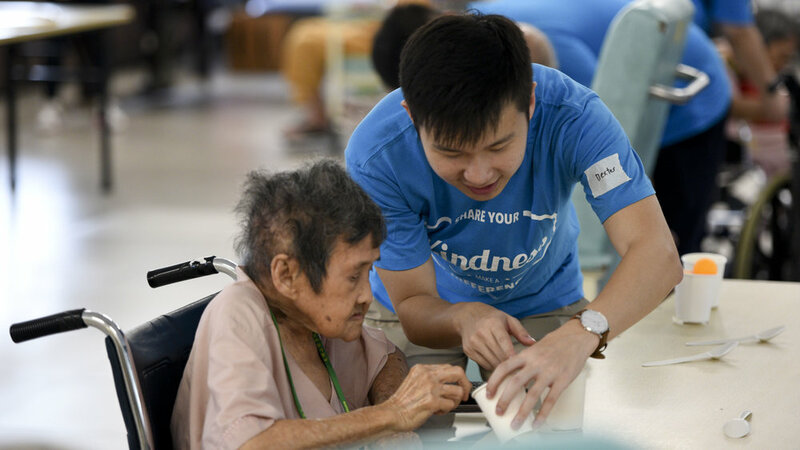 Although the time spent was limited, the warm company that the volunteers have brought to the elderly goes a long way. Why 'Gai Gai with the elderly' then? Being cooped up in the nursing home, the elderly rarely get the opportunity to go shopping. 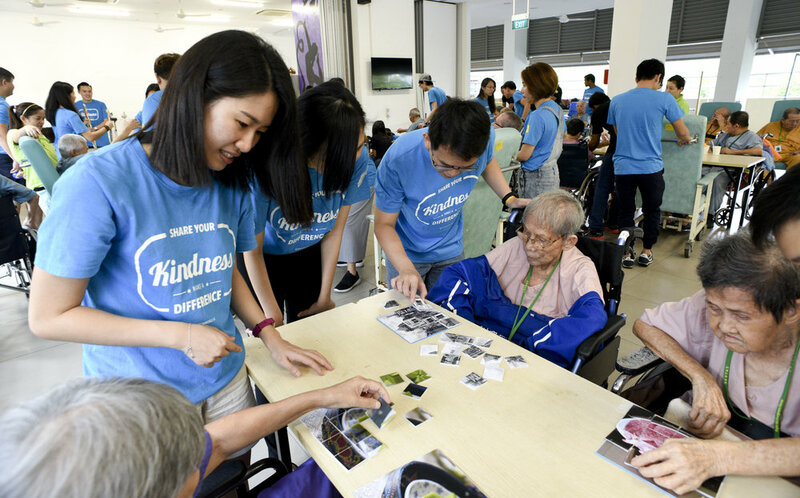 Hence, the committee team decided to bring the elderly out for a walk and shopping trip to the nearby NTUC and high tea in Koufu where our volunteers are able to further interact, appreciate and serve our pioneer generation. Similarly, it also allows the elderly to enjoy a short 'getaway' from their nursing home.